FRAGMENTS is a bi-lingual, pluridisciplinary theatre piece adapted by OBRA Theatre from Roland Barthes’ socio-philosophical text ‘The Lover’s Discourse’. 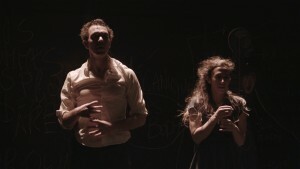 Performed in English and French by one male and female, part confession, part joke, tender and violent, the performance serves as an immersion into our most intangible emotional state; to be in love. 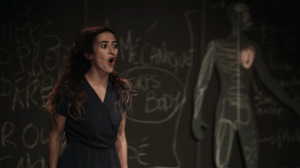 Whether deeply besotted, in the midst of a break up or contentedly coupled, the staging, humour and dynamism of FRAGMENTS allow the audience to be surprised by what they recognise of themselves in Barthes’ clinical dissection of love. Experienced as a series of etudes, we see the performers wrestle with their internal discourse, leaping from chapter to chapter in a gymnastic dance of actions and words. 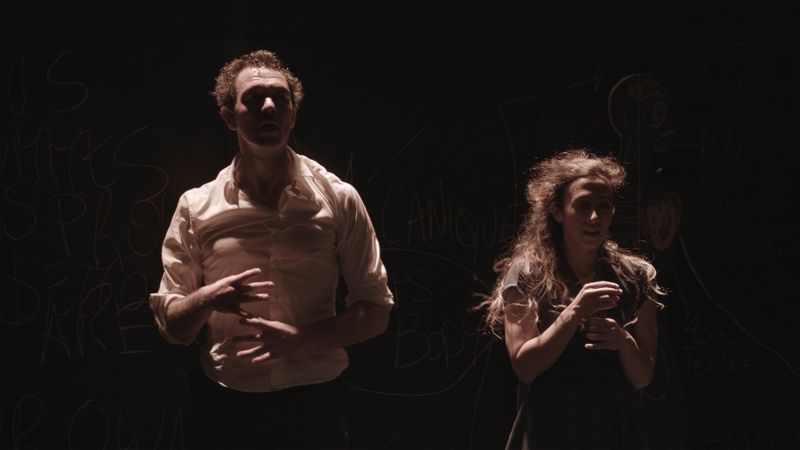 OBRA bring to the stage one of Barthes’ seminal works with a show that impresses through the physical dynamism of the performers, the ridiculous and touching nature of it’s content, the simple yet powerful design and the quirky original score. FRAGMENTS was created in residence at Au Brana and CIRCa in France with the support of the Languedoc Roussillon Midi Pyrenees Region and Gers department. FRAGMENTS has been adapted from the French text Fragments d’un Discours Amoureux by Roland Barthes with the permission of Les éditions du Seuil and Richard Howard’s English translation published by Farrar Strauss and Giroux.